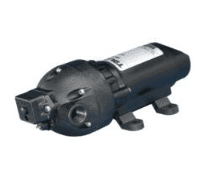 LF Series pumps by Flojet are suited to a wide range of spraying applications including spot spraying. A integrated internal bypass makes them suitable for low volume spraying. Designed with a pressure switch the LF series will work “on demand” with the pump automatically shutting off when not spraying. 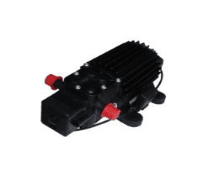 • Compact automatic demand pump. 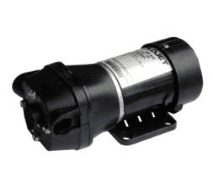 • Sealed pressure switch automaticatly starts and stops pump when discharge valve is opened and closed. • Self-prlming so pump can be located above supply tank. • Can run dry for extended periods of time without damage. • Low amp draw for battery powered applications. • Soft compliant Santoprene mounting system.